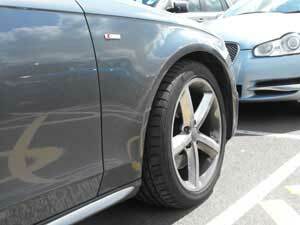 Many of our customers have the same questions or queries about our car parks at Heathrow. You'll find the most popular questions, along with the answers, here on our Heathrow parking FAQs page. You can amend your Heathrow airport parking booking up to 24 hours before you're due to use it. We don't charge to amend a booking. However, the price may change if you alter the dates and times on your booking. To amend your booking please contact us. You cannot change our non-amendable, non-refundable products as per our terms and conditions. Can I cancel my booking if I need to? When you make a booking, we'll offer you the option of taking out our cancellation protection waiver for a small fee. This will allow you to cancel your booking and get all your money back at any time - so long as you've given us at least 24 hours' notice. If you don't take out cancellation protection, the charge to cancel a parking booking is £10.50 and there's a £19.95 charge per room, per night on a hotel booking. You cannot cancel our non-amendable, non-refundable products as per our terms and conditions. What's the difference between on-airport and off-airport Heathrow car parks? On-airport Heathrow car parks are within the airport grounds, so transfers to the terminal are usually quick. Off-airport Heathrow car parks are outside the airport grounds but won't be more than a few miles away. All Heathrow car parks have free regular transfers running to and from the terminals. What's Heathrow Meet and Greet parking? Meet and Greet parking at Heathrow is where your car is collected from you outside the terminal, parked in a secured car park by a driver, and brought back to the terminal on your return from holiday. It's extremely convenient and great if you're travelling with children, have lots of luggage or are disabled. You can simply walk to check-in while the rest is done for you. What if my flight back to Heathrow is delayed and I overrun my parking time? Don't worry, your car will still be safe until you return. 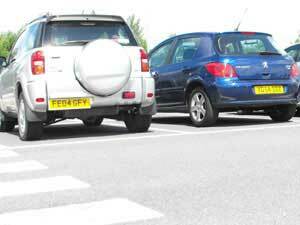 When you arrive back at the car park, you can pay for the extra hours or days you exceed locally. Extra hours or days will be charged at the car park's gate rate.